she's beautiful, powerful and so a good friend! Hmm.. Seeing this also make me remember some memory. I was actually a fan a long time ago. Looks great. Althought the character seems a little 'fadded or smoothed' (Maybe the source was of lower resolution). Still look good. OMG ! Great and awesome work for this ! I love the background a lots ! Really bring back a lots of memories after see this wallpaper ! Thank for sharing ! thanks for the mars wallpaper! 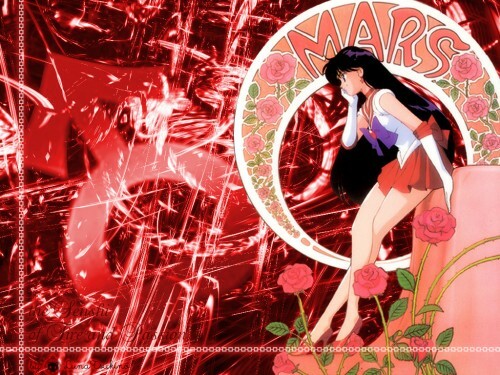 Great wallpaper of Sailor Mars! She is so beautiful! +FAV! I also really like the background, The red really does fit her! You did a great job on this wallpaper! it's lovely just as good as all your others!